In a sequence of poems that speak of love gained, love enjoyed, love lost, Darren Thomas establishes a compelling voice. You will find yourself wanting to read these poems many times, until you become as familiar with them as songs. This is poetry perfectly suited to digital publication - with you on your reading device wherever you happen to be. if that was ever possible? and god would be a long, long way from home. Just available in paperpack, John Agard's reimagining and modernisation of Dante's Inferno, fabulously illustrated by Satoshi Kitamura. ... though The Young Inferno is told in 13 cantos IDante's Inferno has 34) I hope that 13 sounds about right for a teenager and is in keeping with Dante's regard for the magic of numbers. Roger McGough is to chair the judging panel for a worldwide poetry competition for 7-11 year olds. The Competition is organised by the Children's Poetry Bookshelf, a poetry book club for young people run by the Poetry Book Society. To link with National Poetry Day on Thursday 7 October, children will be asked to write a poem in English on the theme of 'Home'. The Old Possum's Children's Poetry Competition will encourage children to write poems of their own and help teachers to bring poetry alive in the classroom. A teacher's guide to accompany the competition will be available to download from the Children's Poetry Bookshelf website (www.childrenspoetrybookshelf.co.uk <http://www.childrenspoetrybookshelf.co.uk/> ) from early September, along with further information about the competition. Described by Carol Ann Duffy as 'the patron saint of poetry', chair of the judges Roger McGough is one of the UK's best-loved poets with over 50 collections of poetry for both adults and children to his name. The anthology The Mersey Sound, first published in 1967, showcased McGough's poems alongside those of Adrian Henri and Brian Patten and has since become one of the bestselling poetry anthologies of all time. 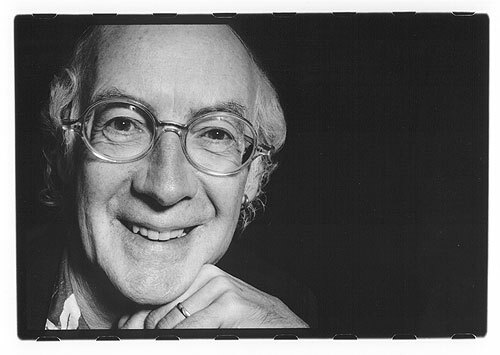 Roger McGough was awarded the CBE for services to poetry in 2005 and continues to be a very active performance poet. With his poetry used widely in schools, children will be familiar with the wry humour and liveliness of his work. He has twice won the CLPE (previously the Signal) Award for the best children's poetry book and his most recent children's collection is Slapstick. Roger McGough is joined by a distinguished panel who are passionate about children's poetry: the poet/guitarist James Carter, who travels widely giving poetry performances and workshops; Julia Eccleshare, writer, broadcaster, lecturer, Co-Director of the Centre for Literacy in Primary Education and the Guardian's Children's Books Editor; David Fickling, distinguished publisher of David Fickling Books, a Random House imprint for children's books; and Caroline Horn, Children's News Editor of The Bookseller and founder of the Reading Zone children's books website. Chrissie Gittins' first children's poetry collection 'Now You See Me, Now You ...' has been reprinted. The book was shortlisted for the CLPE Poetry Award. 'Chrissie Gittins has a McGough-like flair for idiomatic surrealism,' I said, in TES. THE 2009 LECTURE will be given by Michael Rosen. Entitled What is children's poetry for? : towards a new, but child-specific, 'Apologie for Poetrie' (Sir Philip Sidney, 1595) it will be held at 5.00pm on 10th September, at Homerton College, Cambridge. Jane Yolen interviewed on the subject of her poetry. A celebration of poems and rhymes that have shaped generations of children and that remain popular today will open at the Folio Society Gallery of the British Library on 1 April, running through to 28 June. Curated by Michael Rosen and Morag Styles, "Twinkle Twinkle Little Bat" will show how language can bring to life journeys, tales and rhymes for a younger generation... The exhibition features volumes of poetry from the 17th Century to the present day, including the earliest surviving printed collection of nursery rhymes, Tommy Thumb's Pretty Song-Book (1744), as well as copies of classics, such as Robert Louis Stevenson's A Child's Garden of Verses; William Blake's Songs of Innocence; Lewis Carroll's Alice's Adventures in Wonderland; Michael Rosen's Don't Put Mustard in the Custard, and Roald Dahl's Revolting Rhymes. Recordings of poets reading their own work will be available at various points throughout the exhibition. The presentation was made at the South Bank Centre earlier today by Ian McMillan. Jackie Kay was interviewed afterwards by Michael Rosen, the Children's Laureate. The CLPE Poetry Award honours excellence in poetry written for children. It is presented annually for a book of poetry published in the proceeding year. Previous winners include Roger McGough, John Agard and Grace Nichols. The judges of the award this year were Ian McMillan, Fiona Waters and last year's winner Julie Johnstone, chaired by Margaret Meek Spencer.